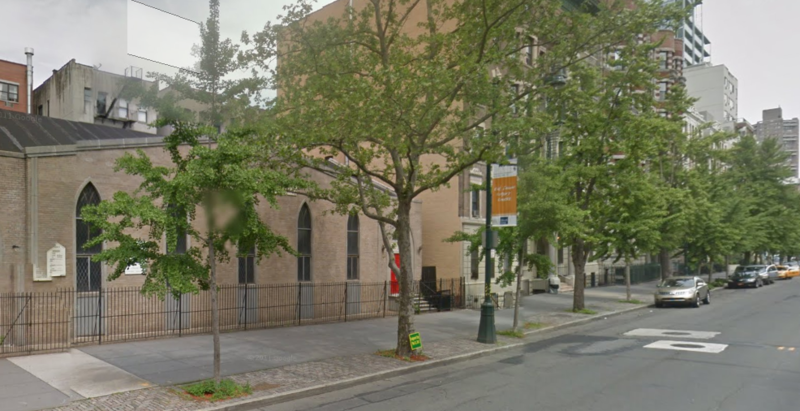 Back in November, The Real Deal reported that Emmut Properties had sold a church at 145 Central Park North to a Belgium-based firm. The company paid $386 per square foot for the property, reportedly a record for the area. The total amount paid was $16.5 million, a $4.1 million profit over the purchase price, for 42,694 square feet of development rights. According to a DOB permit filed on March 5th, the firm wants to expand the one story church to a 13 story residential building with 24 units. David Howell is named as the architect in the permit. The Real Deal reported in November that Einhorn Development Group had been hired by the European firm to construct a new residential building. Yiannes Einhorn, a principal with Einhorn Development Group, had said that “it’s yet to be determined” whether the owner will build a rental building or sell the units as condominiums and it’s still unclear from the DOB permit whether the units will be rentals or condominiums. The site is located on the north end of Central Park, between Adam Clayton Powell Jr. and Malcolm X boulevards.